inevitable. That's why it is a good idea to have your vehicle air conditioning system checked by a professional to determine if it is working at it's peak performance. If it's not, the pro can determine whats wrong and get you cooled off under the collar among other places. We all know you want to feel like this picture to the lift this summer, and you can if you prepare now. So don't wait until it's 100 plus degrees outside to have your car's A/C looked at (when all the shops are backed up with A/C repair) do it today and you'll be glad you did. 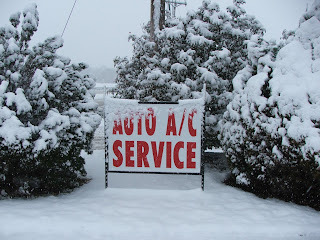 Kool Kar Auto Repair is presenting a Pre Season Air Conditioning Special for a limited time at only 39.95. We will determine the functionality of your system, check pressures, check blower, check condenser cooling fan, and check system for the proper amount of refrigerant. So don't miss out on this special because it won't last long. You must tell us you saw it here before service is performed to receive special discount. Refrigerant and other services extra. Keep your car A/C working cool all summer long with Kool Kar Auto Repair located at 615 S.E. Parkway Azle Tx. or call 817-270-2549. Remember A/C is our Specialty. The power window was first introduced by Packard in 1940, followed by Ford Motor Company in 1941. Over time this popular convenience accessory has become standard equipment on many cars and light trucks. Improvements in drive systems that are quieter and more efficient as well as "One Touch" window control systems have led to a more complex power window system and the need for strong electrical/electronic diagnostic skills to accurately diagnose and repair power windows.Today's power window systems are controlled and monitored by the vehicle's on-board computer system. Years ago the basic power window system consisted of an electric motor that drives a scissors type regulator and was controlled by a simple switch. Diagnosis of this system was easy... Check for power at the switch, check for power coming out of the switch when it was activated, and check for power at the motor. Simply put, start at the power source and test for power at each component until you found the component that didn't work properly. Today's power window systems are much more involved and complicated to work on. Faulty motor- Window won't operate at all. Faulty switch/control circuit assembly- One or more windows operate intermittently or only in one direction. 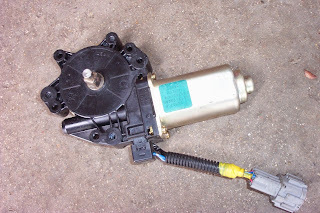 Broken Regulator Assembly- Window Comes Off Track or Shifts as window is operated. May not operate at all on some systems and an audible noise from the motor can be heard. Faulty Body Control Module/Computer- May operate erratically and a diagnostic trouble code may be stored in the computer. When you go to your favorite drive thru restaurant you notice your car's A/C almost starts blowing hot air...at least it's not as cold as when you were driving it down the road. What could be the problem? I will list below several possibilities for you to look into, that can be causing your problem. 1. Your car's condenser fan may not be working, or at least not correctly. With the A/C on MAX (car running) open the hood and see if the condenser fan is working. If not, you have found your problem already. 2. Your car could be overheating and you are not aware of it. If your engine is running too hot it will definitely effect the A/C... especially at idle. 3. If your condenser is clogged with debris, this will cause a decrease in the effectiveness of the Air Conditioning System. Remember to check between the radiator and condenser for for this Debris as well. 4. If you are low on refrigerant this can cause a decrease in cooling while at idle. 5. If the desiccant bag has ruptured in the dryer or accumulator, this will stop the condenser up from the inside, until it can not do it's job. Lets hope this is not the case for you, because this is a major problem. 6 Finally, your compressor may be worn out and not pumping the refrigerant thru the system as needed. Again, this is a major problem as well. So you may want to consult your local Auto A/C Specialists if you have any doubts. 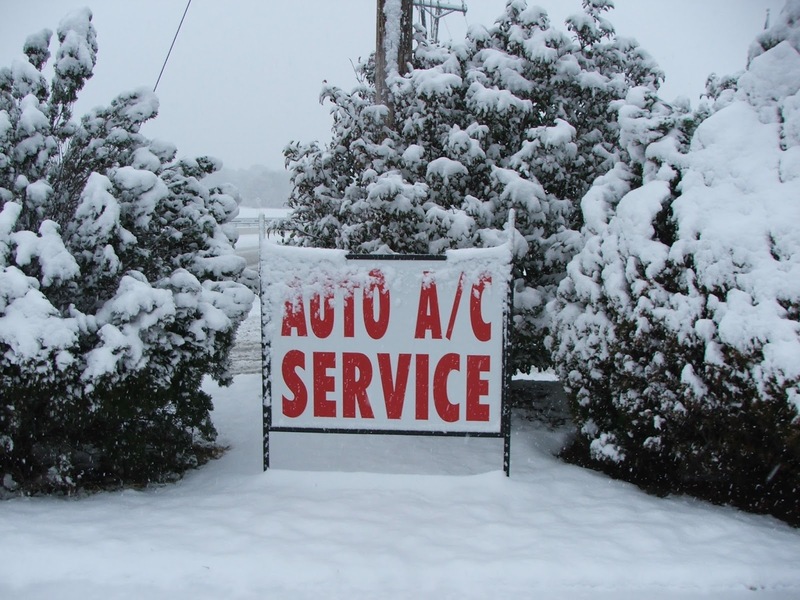 Kool Kar Auto Repair is the A/C Authority in Texas. 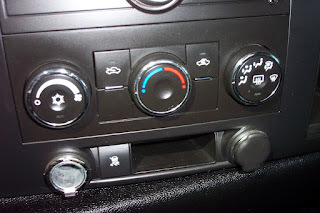 Call 817-270-2549 to make sure your vehicles A/C will get you thru the remainder of the 100 degree plus days in Texas. I often get the question from customers...how can I tell when my brakes need service or repair? Brakes are without a doubt the number one safety device on your vehicle. Making sure your brakes are repaired correctly is the best money you will ever spend on your car. That's why its imperative you don't skimp on brakes. Always insist on the very best parts money can buy for your vehicle. 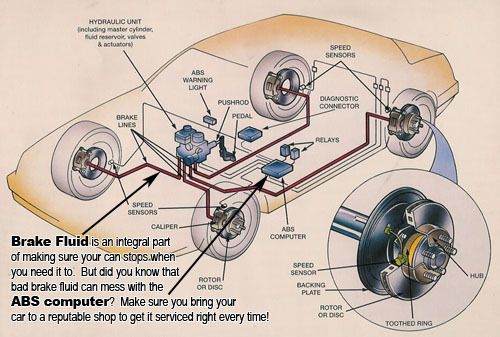 Ask the repair facility if they are certified to repair your brake system. Now to answer the question how can I tell when my brakes need service or repair. There are several things you need to look for when it comes to braking system function and repair. NOISE: Are you experiencing any unusual noise when the brakes are applied? Such as squealing, grinding, rubbing, squeaking. This is a way for your brakes to communicate with you, telling you something is wrong. Have your brake system checked by a professional. VIBRATION: Are you feeling a vibration in your steering wheel or seat when your brakes are applied? If so, this may indicate a malfunction in the braking system. This concern may be related to out of round or warped brake rotors or possible other braking issues. BRAKE FEEL: Do you experience abnormal signs with your brake pedal such as extra effort to depress the pedal, a hard pedal, does it feel soft or spongy? Does the pedal ever drift down while setting at a red light with your foot on the brake? If so its time to seek professional service. LIGHTS: Is the ABS light illuminated on your instrument panel? Today's vehicles are high tech, some even to the point they have built in pad thickness indicators built into the system. Other vehicles may utilize a red brake warning indicator combined with a (ABS) warning indicator light. All these indicators mean the brake system has detected a malfunction that requires attention as soon as possible. SMELLS: Do you notice burning smells or odd odors while braking? Are you noticing extreme buildup of brake dust on your wheels? These are all signs of possible braking service needs. BRAKE FLUID: This is one of the most neglected areas of the braking system but one of the most important. Brake fluid is a silent component of the braking system that is often overlooked, without it your car would never stop. It should be checked for integrity during regular service checks. Making sure it does not have moisture in it, also the fluid should be full and clean. In closing brakes are comprised of several sophisticated components and for your safety all repairs should be completed by a qualified professional service technician. The most important function of your vehicle's struts and shocks is to help keep the tire in contact with the road. Without these components the tire would lose contact with the road every time it contacted a bump. Struts and shocks also absorb impacts and smooth out from surface irregularities in the road providing a smooth stable ride. 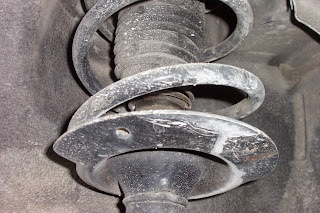 The rate of wear that struts and shocks have is so slow, that over time as their performance deteriorates you may not even notice the change. Excessive harshness over bumps- As the tire hits a bump, it is no longer able to absorb the shock of the impact and the impact is transmitted to the passenger compartment. Excessive nose diving during stops- As the vehicle comes to a stop the struts and shocks are no longer able to control the compression of the suspension system and weight transfers to the front wheels. Instability in Turns- Similar to Excessive nose diving, the struts and shocks are no longer able to slow the rate of compression of the suspension system. 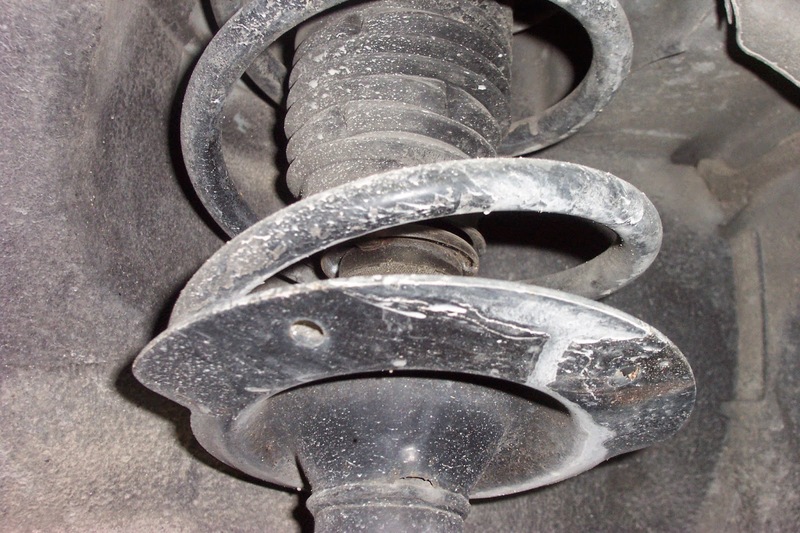 Excessive Float Over Slight Rises in the Road Surface- The struts and shocks are no longer able to control compression OR rebound of the suspension system and the vehicle seems to "Float" over the road. Many of these symptoms can cause a unsafe situation and seriously effect the performance of the suspension system. Come to Kool Kar Auto Repair in Azle Texas to have you struts and shocks inspected or replaced and restore proper control of the suspension system.